Drains are susceptible to a lot of issues stemming from debris build up in the pipelines. It is easy for things like soap and grime to accumulate in pipes so it is important to have regular maintenance done to prevent recurring clogs and more complicated repairs. Sunset West Plumbing & Rooter has monthly maintenance plans that will help keep your property’s plumbing running efficiently. Keeping drain lines clean not only helps prevent future problems, but can help improve the water pressure and flow in the pipeline and delay the need for drain repair. If you notice any signs of a clogged drainpipe you will want to have it cleaned immediately to prevent more complex issues from occurring. We use high quality cameras to inspect pipelines to find the source of the clog quickly without having to make a mess in your home or on your property. Once the source of the leak has been find we will determine the best way to fix the clog to lessen the chance of it building back up in the future. 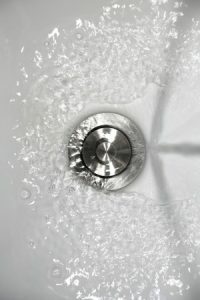 There are three ways to fix a clogged drain: breaking it down with chemicals, snaking, or hydrojetting the pipeline. Sometimes chemicals do not fully clear the clog and can cause more complications. Snaking is one of the more popular methods but doesn’t always clean the pipe thoroughly leaving debris that can create a new clog. For the toughest buildup, we use hydro jetting that leaves the pipeline completely cleared of debris. For more information on drain repair and other plumbing service in West Los Angeles, CA, and Beverly Hills, CA, contact us today at (310) 454-2010 to set up a time convenient for you for a detailed plumbing inspection. Updated on June 15, 2016 at 6:14 pm by Sunset West Plumbing & Rooter.